My second child hit me almost as hard as my first but in a completely different way. I’m not a natural mother. I’m impatient, hot tempered, short, self-centered, and like things my own way. I’m a piece of work, as we all are in one way or another. I very much feel God carving a mother’s heart out of my own. Its painful. Its messy. It’s beautiful. I’m so thankful for it. All of it. Nothing good in my motherhood is my own. It is given to me and I am learning to appreciate this and be grateful for all He has done for me. The first baby, I tried to handle things on my own. I ran into the wall every Friday night. Exhausted, burned-out, and in need of sleep on Saturday. Sunday would be the evening out day, and I would find myself behind before Monday even started. Rinse and repeat. To men and those of you who do not have blessings of your own, the words exhausted, burned-out, and in need of sleep seem like a repetition- but they are not. Each term describes a different weight I felt. I never realized just how many levels of exhaustion there were and how it actually doesn’t kill you. If you let it, It just makes a mess of everything else. And I let it run me down. My point isn’t that motherhood is awful. My point is motherhood is impossible by yourself. Every mother I think learns at some point. I saw this clearly when my second came. It was seemingly impossible to keep up with both, recover from my surgery, do the dishes, laundry, and, oh yeah, take care of myself. I couldn’t do it. Especially at first. I physically had to rely on the others around me after my c-section and, even then, I felt like I was solely a feeding machine. Spiritually, I felt very attacked. I was tempted to feel everything from despair to anger, anxiety, ingratitude, and loneliness. That’s the point Jesus can enter. That broken cracked place. That’s His entry way to get in and start renewing the spirit. He showed me what I needed, it its what we all need. I needed the armor of God. I didn’t know how to obtain or put it on. I needed to surrender, get out of the way, and let Him carry me. I couldn’t seem to make this abstract concept tangible. I was a little child trying to put on this suit of armor that was too bulky and too heavy. A priest explained to me in confession that the key to putting on the armor is in the “I can’t”. I can’t do it. God can. Let Him do it. Let Him do everything. Practically speaking, the way I was able to do this was to form the habit of turning to prayer as instantly. As soon as I felt a tinge of anything that resembled exhaustion, disruption of my peace, or struggle with a task I prayed. Lord, I’m feeling this. Help me through it. Then I would act. Move. Get out of the environment. Clean a dish, feed the baby, take the kids on a walk. Anything. Just move and let Him work through me. A daily morning offering of my sufferings prayer – I like this one. The Rosary and general devotion to and conversation with Mary. 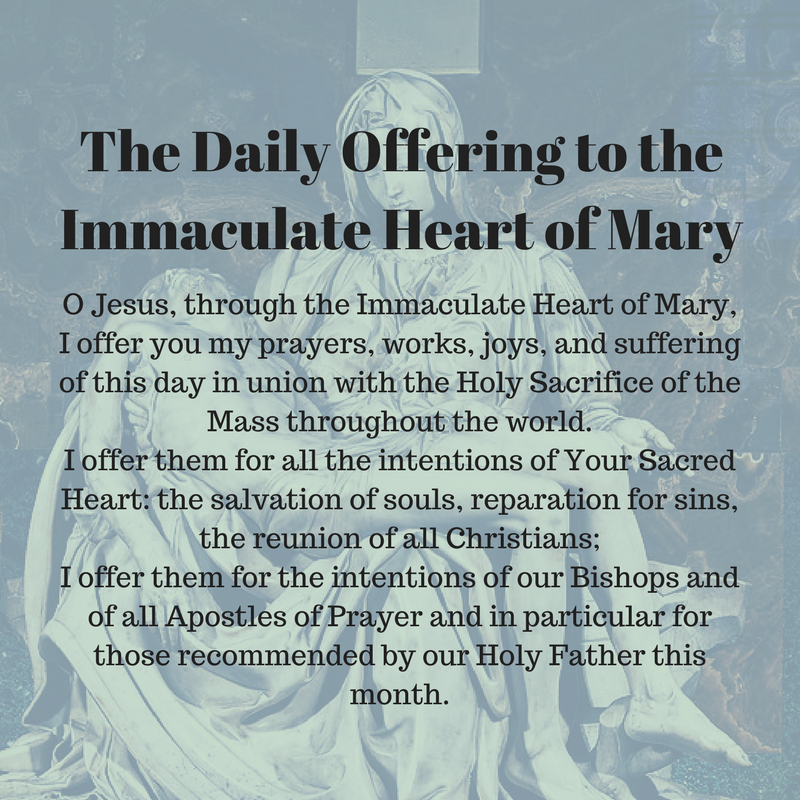 Devotion to Our Lady of Sorrows – this is what I use. The first prayer I say when I’m trying to complete a task or trying to be patient, or calm, or loving. The second, when I especially feel spiritually attacked with negative thinking, doubt, or worry about something to come. The daily offering came from my recent light shed on the importance of offering up suffering in reparation for sins and those around you. The Rosary is my rock. When I’m not successful in keeping the habit, my mother in heaven is always listening. I’m in constant conversation with her. She is so dear and loving of a mother, she knows you so well and she cares so deeply. Go to her with everything. Scripture is new to me. Yes I’ve been a Catholic all my life. Yes I’ve heard the stories, read the words – yada yada. Its only until recently that I have allowed myself to listen more carefully and intentionally to what is being said to me. It’s not easy. It takes time and mental and spiritual stretching, and seeking answers from priests or others who know scripture to guide you. But its God’s word. Its words that he will unlock for me – and you too – if you ask him to. If you knock you will receive. So it turned out the little engine that could, can – but not by herself. At some point she had to let someone fill her up with fuel and power. Jesus does this for us. We are made to run on and put forth His love. Was I successful every time? Absolutely not. I have fallen more times than Rocky Balboa all his movies put together. Did I fall when I confidently and faithful put it in God’s hands? NOT ONCE. He carried me. Safely. Quietly. Peacefully. Even in the midst of my chaos and doubt. Most importantly, through this processes of rising and falling and rising, He has strengthened me. And He wants to strengthen you too. If you feel like you can’t today, or feel tossed amongst the waves, still yourself and try these prayers or more importantly pour out your heart to Him. Try making immediate prayer throughout your day your habit, and watch God’s hand in your life. God Bless you and your journey of growth becoming a temple of His love, mercy, and glory.